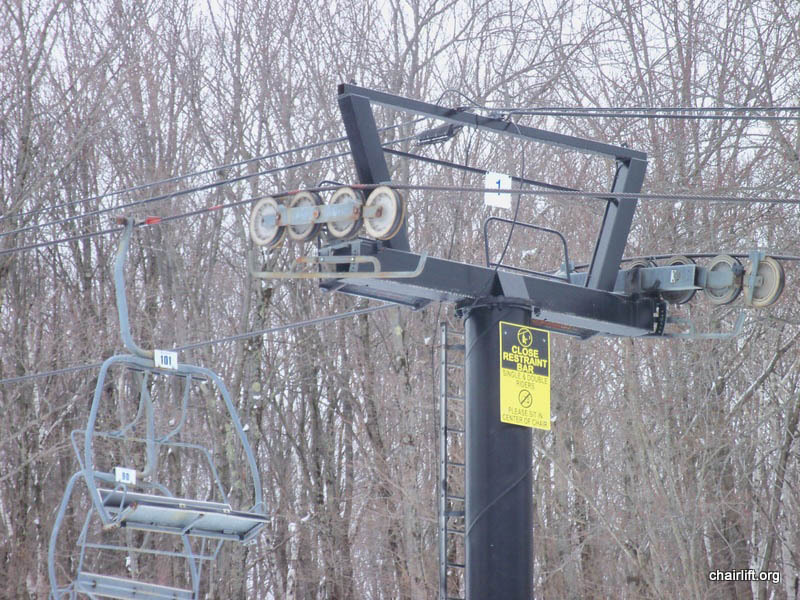 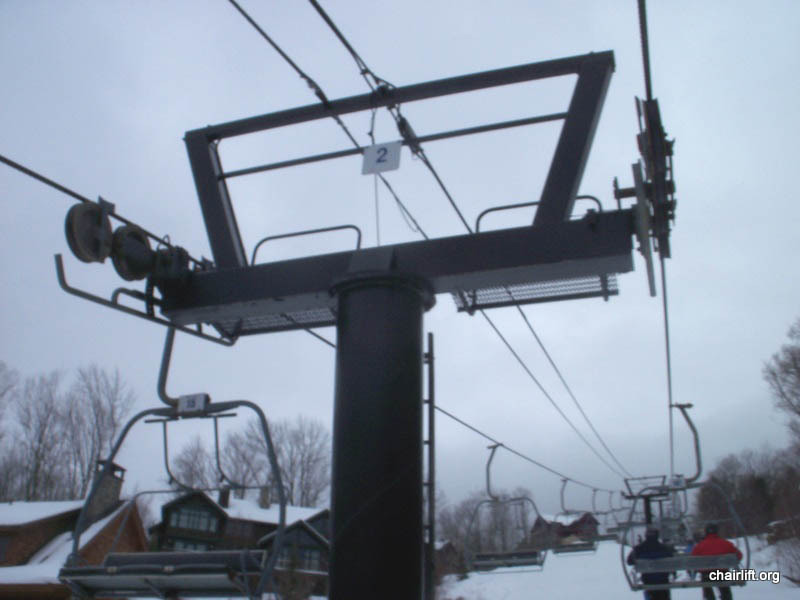 SUNBURST SIX (LEITNER-POMA) - This chair was installed in 2014 to replace the Northstar Express quad. 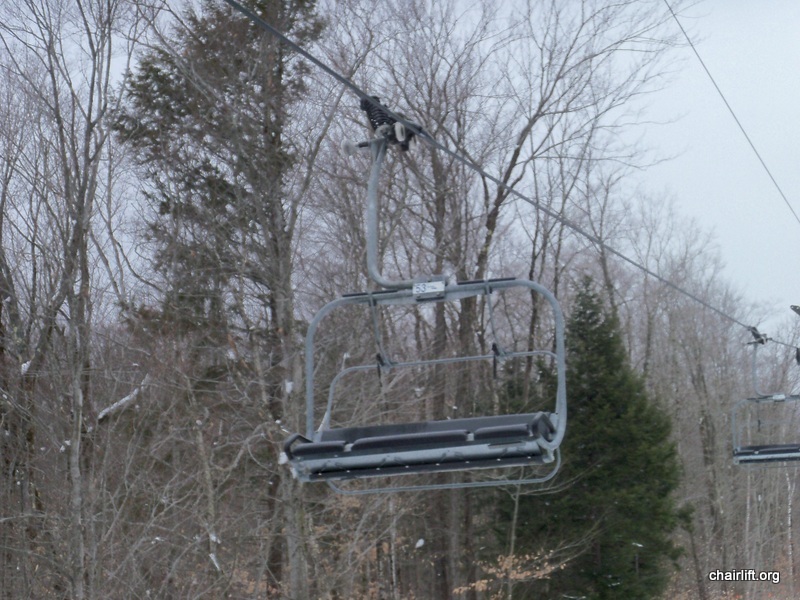 the second bubble six person chair in Vermont. 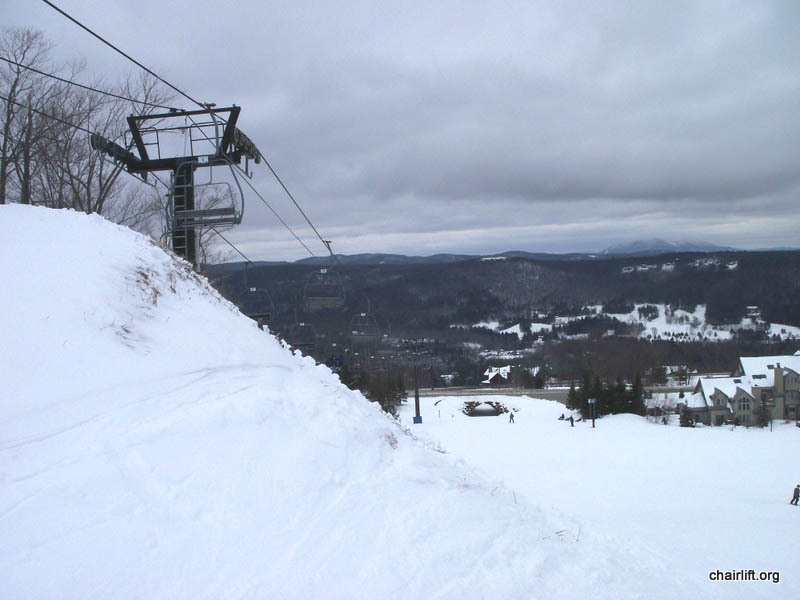 capacity to the underutilized upper left flank of the mountain. 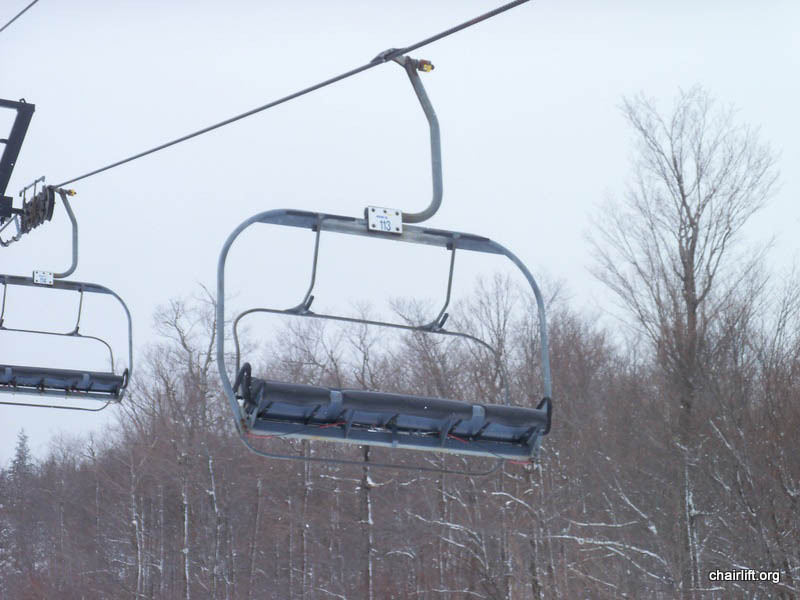 two pomalifts. 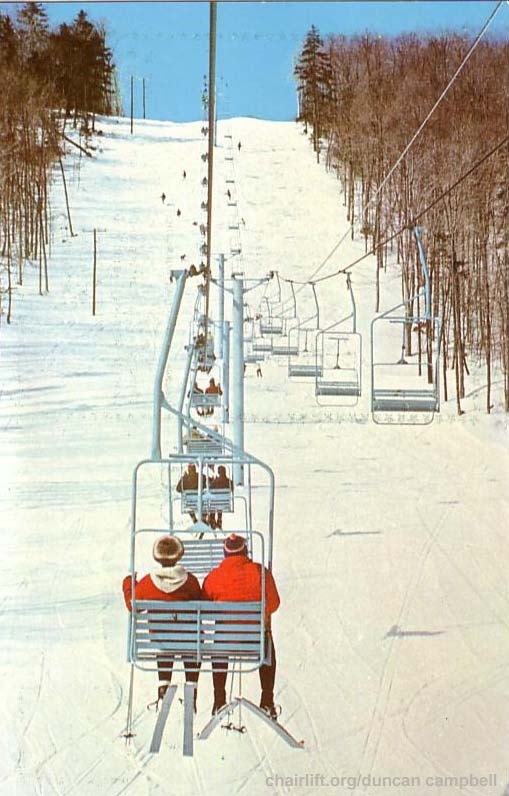 The South Ridge quad ran parallel to the south ridge double until the double was replaced in 1990. 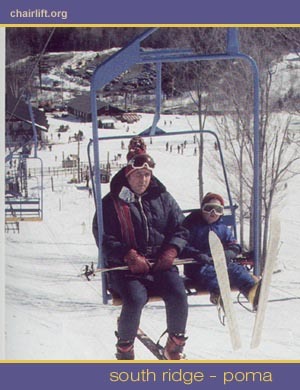 Of the two quads it is the one on the left. 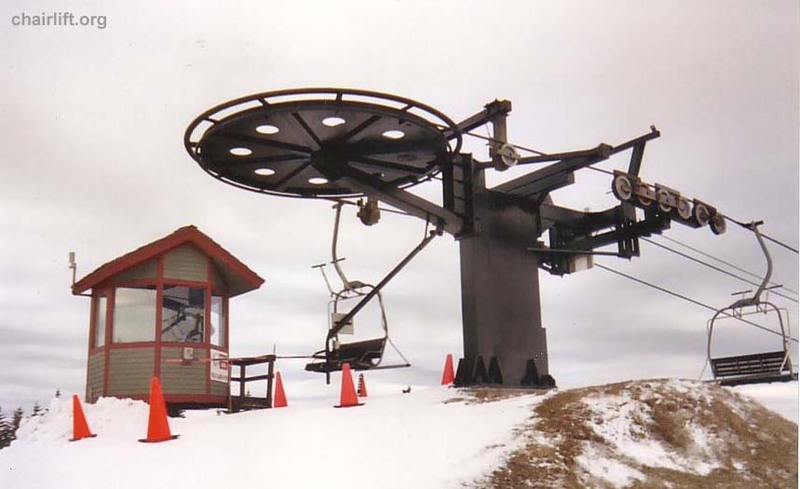 SOUTH RIDGE QUAD 2 (POMA) - Built in 1990, this Poma Alpha type quad replaced the South Ridge Double. 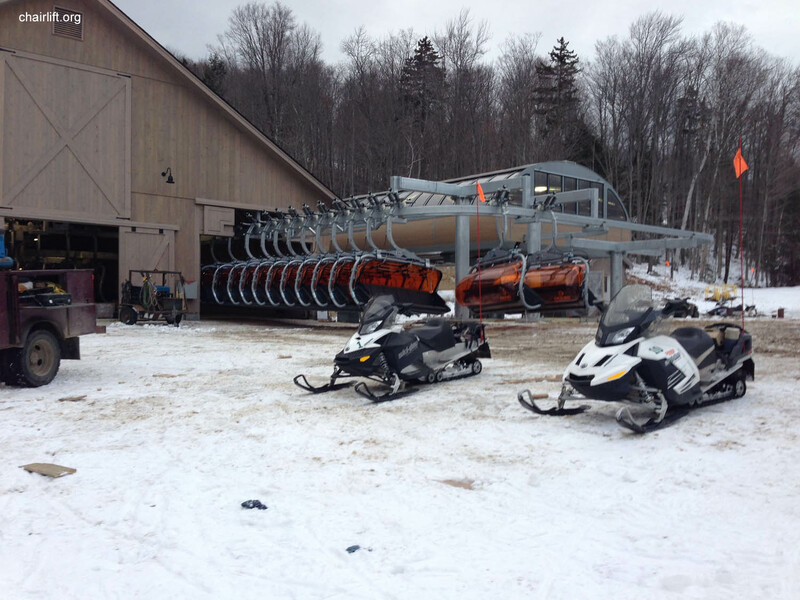 Of the two quads it is the one on the right. 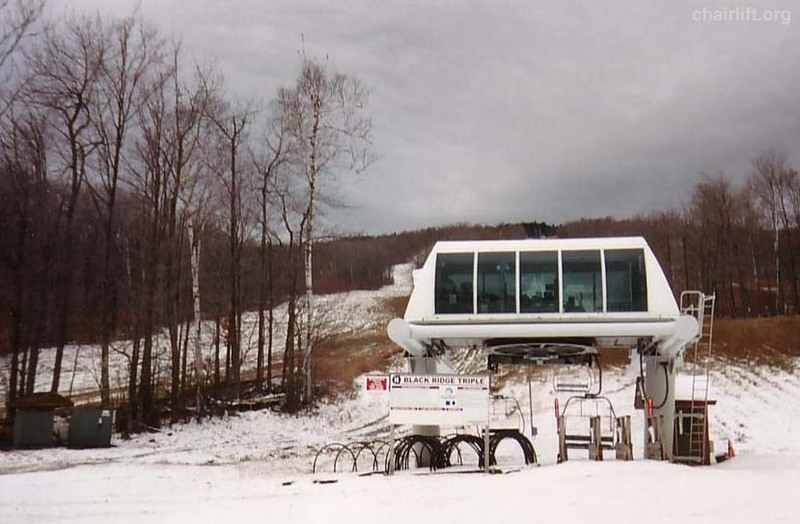 BLACK RIDGE TRIPLE (POMA) - Bult in 1984 this Poma Alpha type lift replaced the Black Poma. 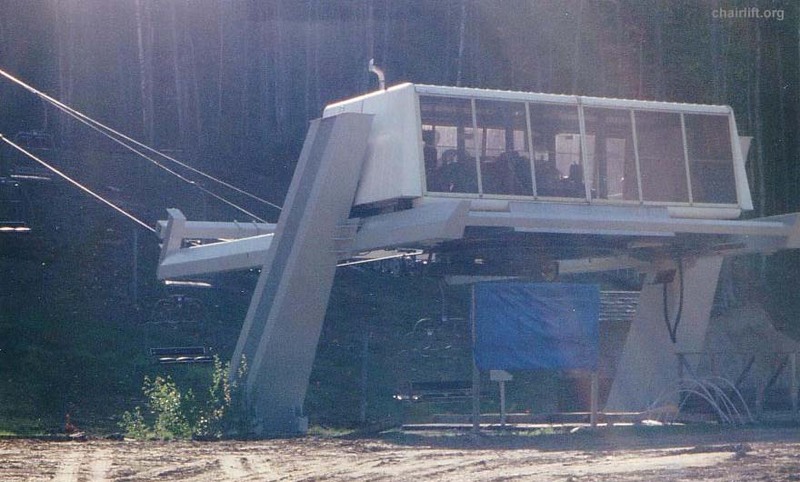 GREEN RIDGE TRIPLE (DOPPELMAYR) - Bult in 1986 this triple was named in honor of the green poma which it replaced. 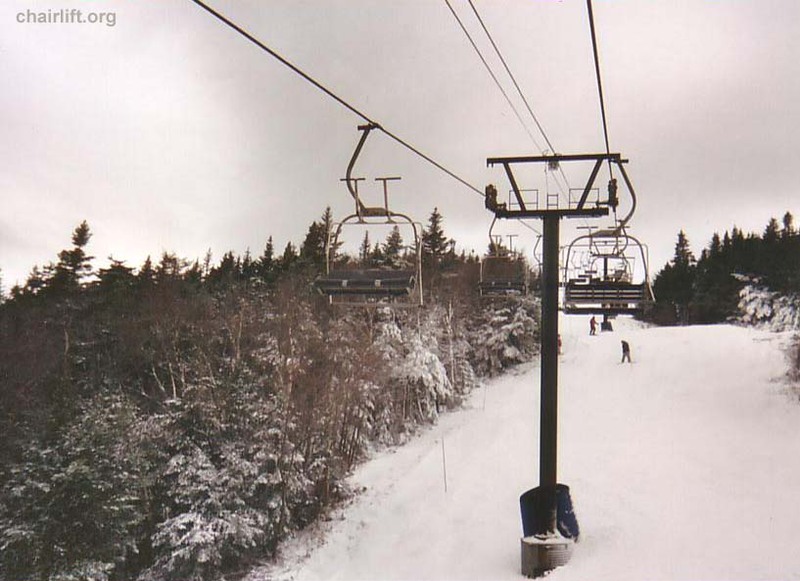 mountain to service some new trails and condos. 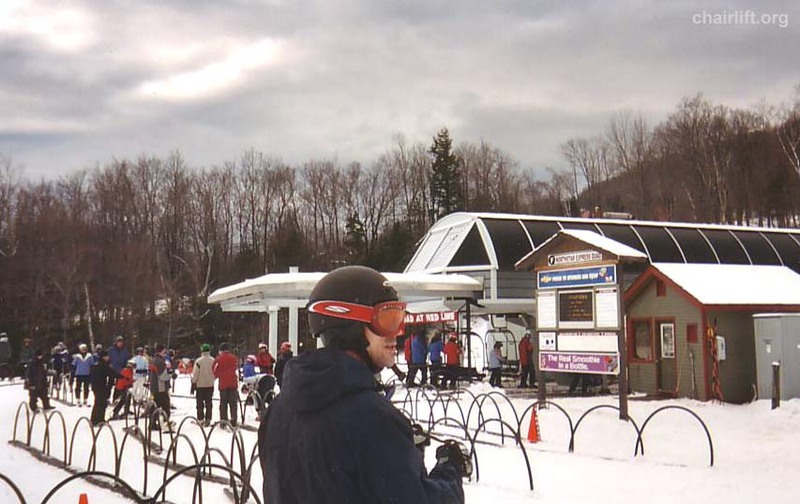 Note the early style Alpha type terminal. 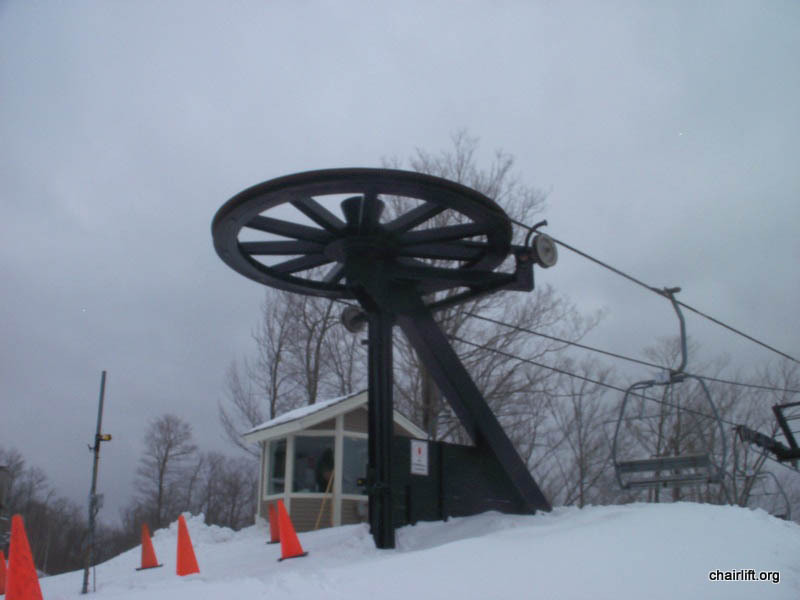 COLEMAN BROOK EXPRESS (POMA) - Built in 2003 to service terrain at the Jackson Gore area. 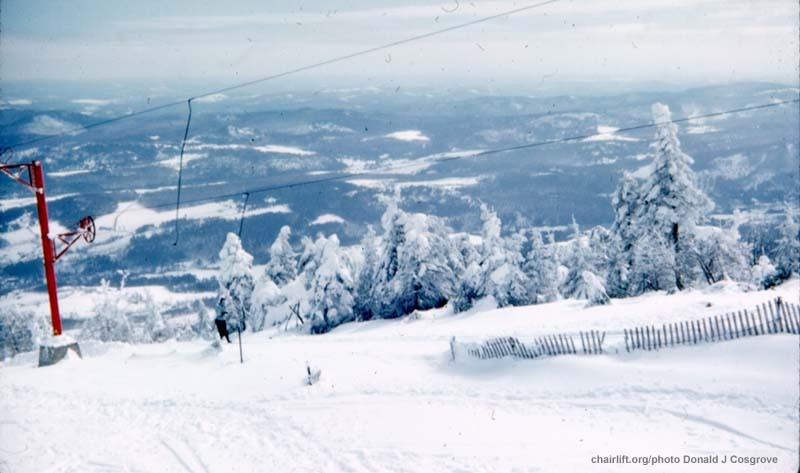 from the Northeast Summit Triple, also a Poma from 1983. 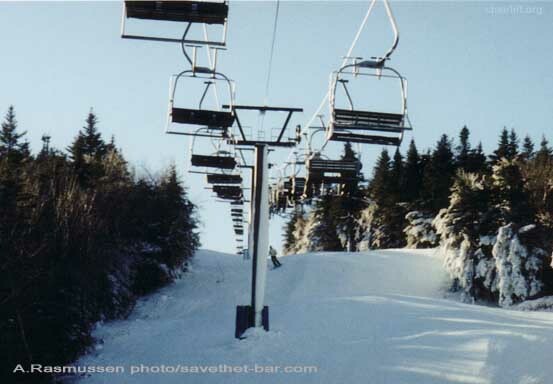 The rest of the Northstar triple later became the Morningstar triple. 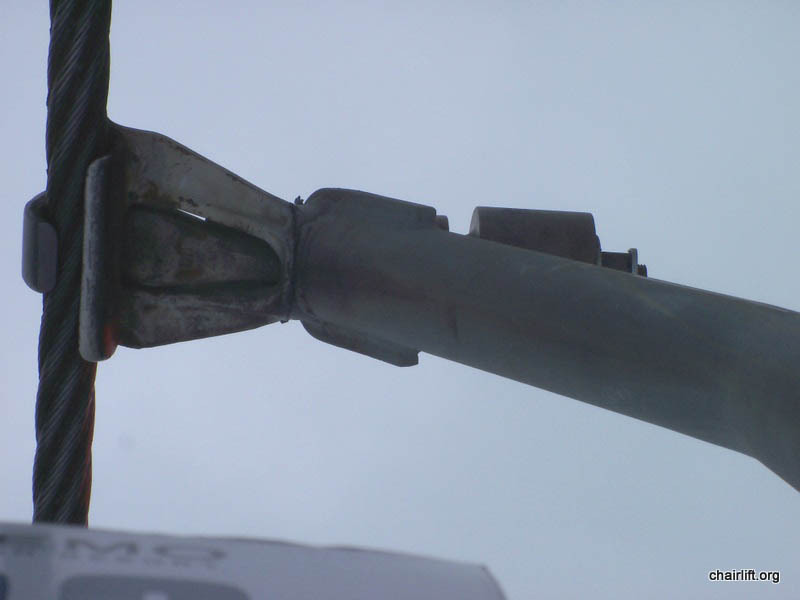 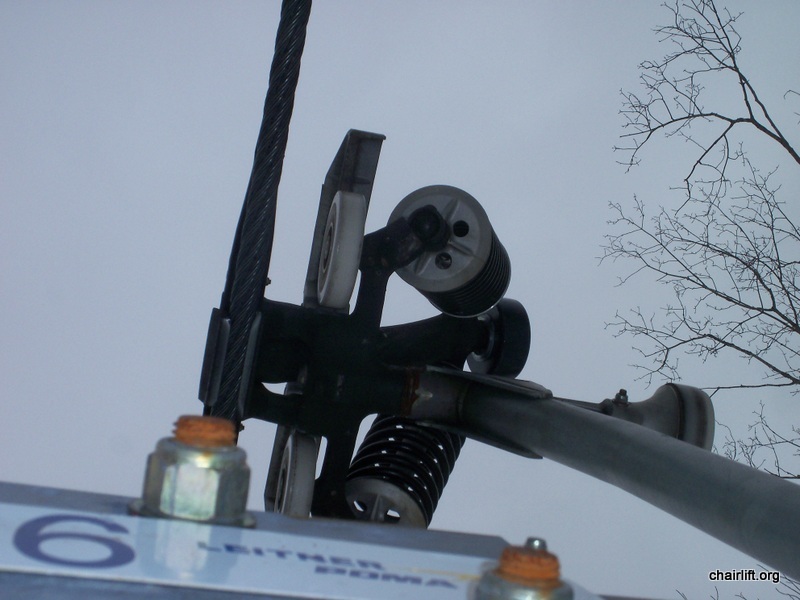 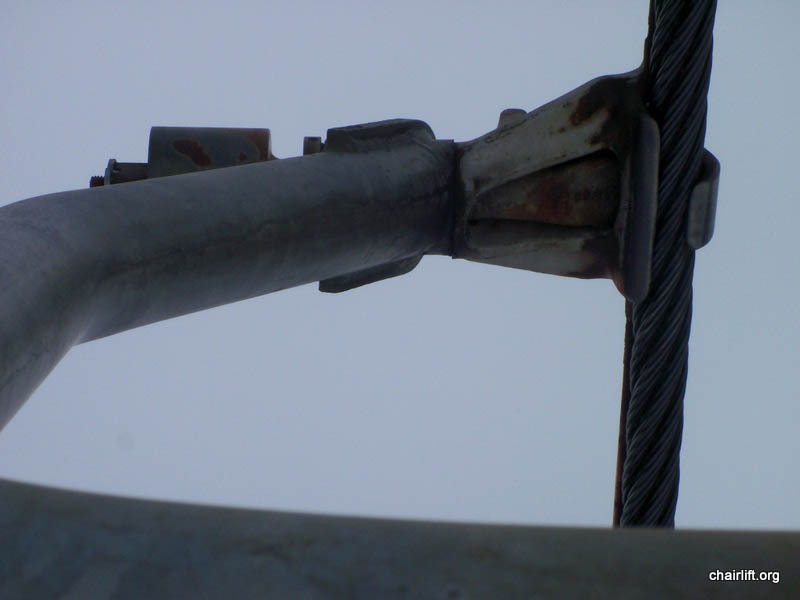 The terminals, grips and other parts were sent to Mt. 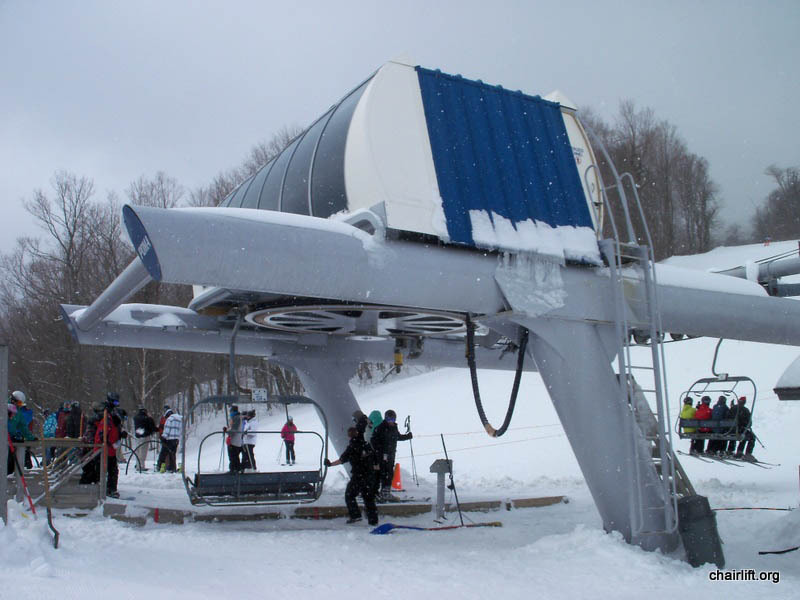 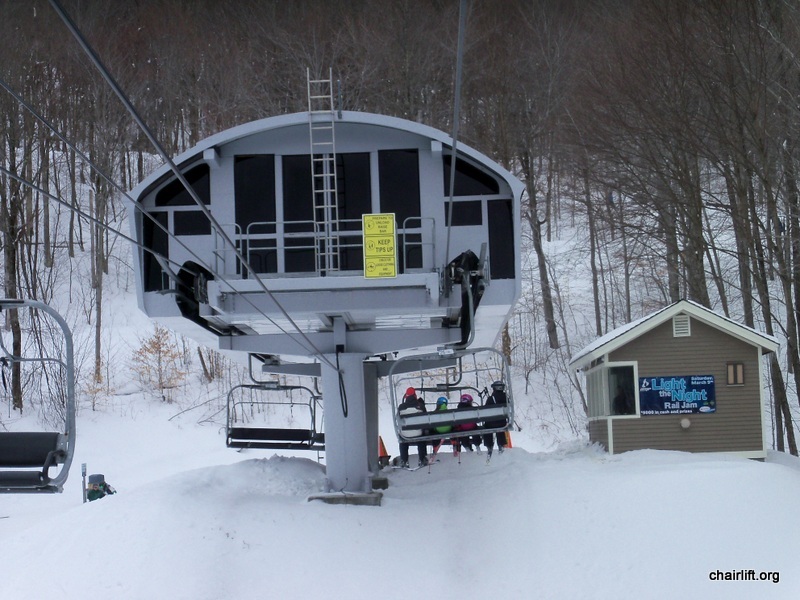 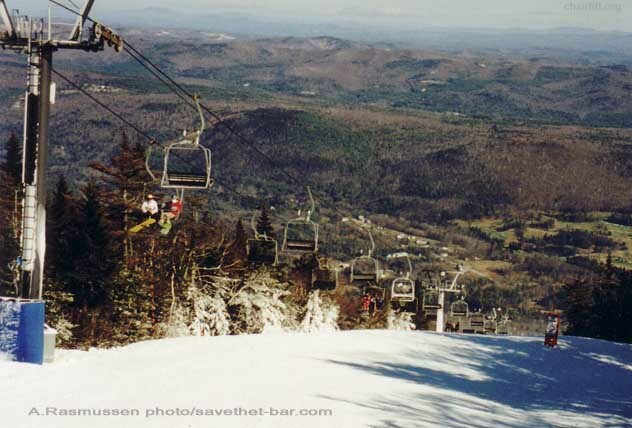 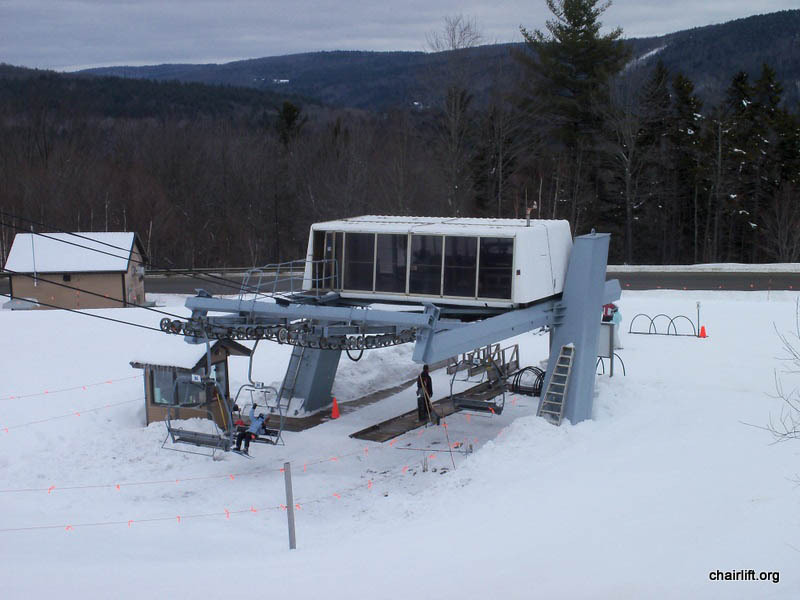 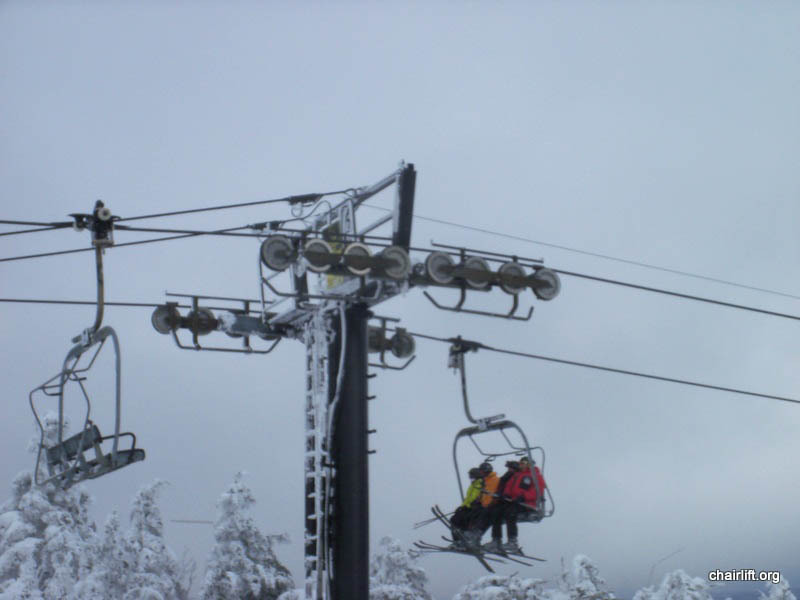 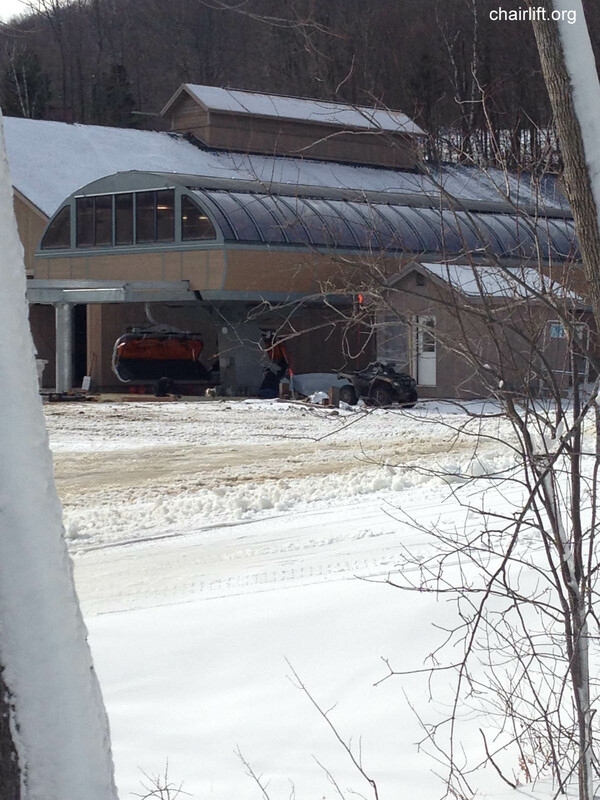 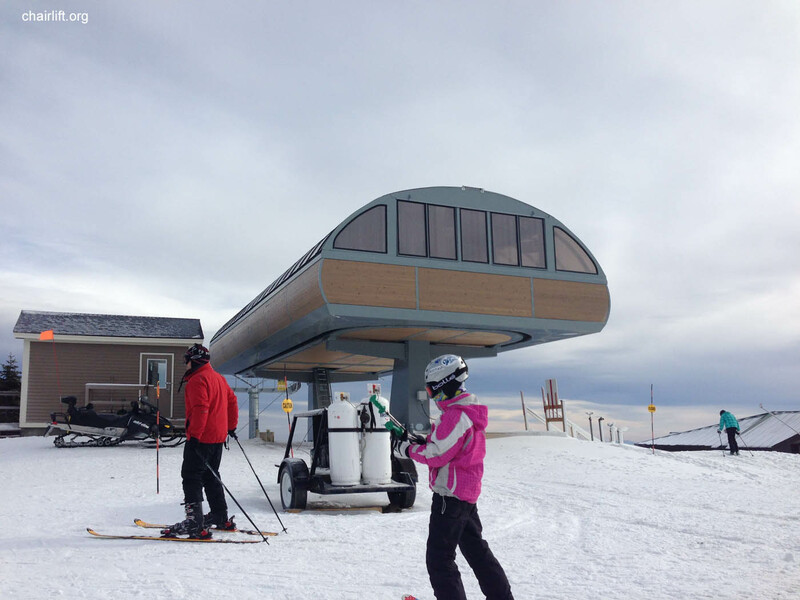 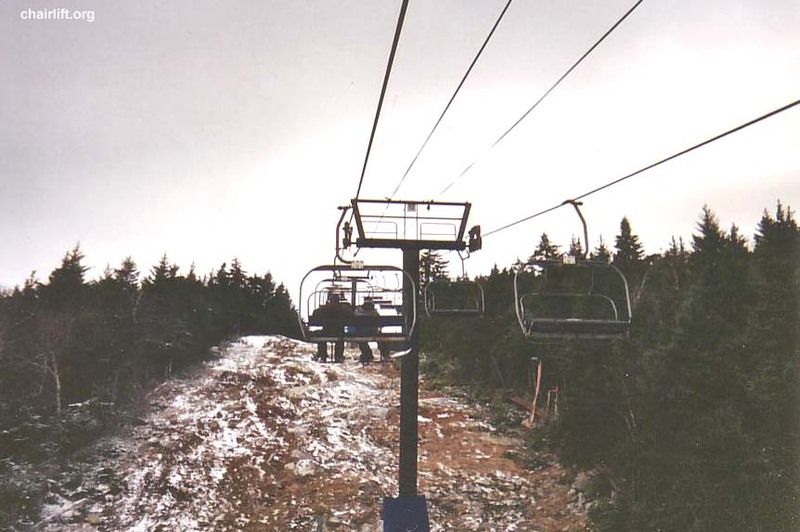 Sunapee for the conversion of the Sun Bowl quad to a high speed chair in 2014.
by Poma with new chairs and a new drive. 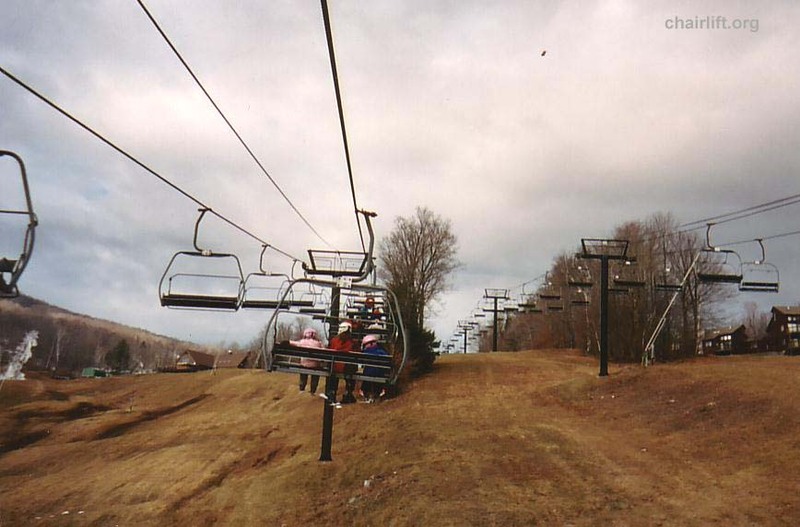 It was eventually replaced by the Sachem Quad in 1989. 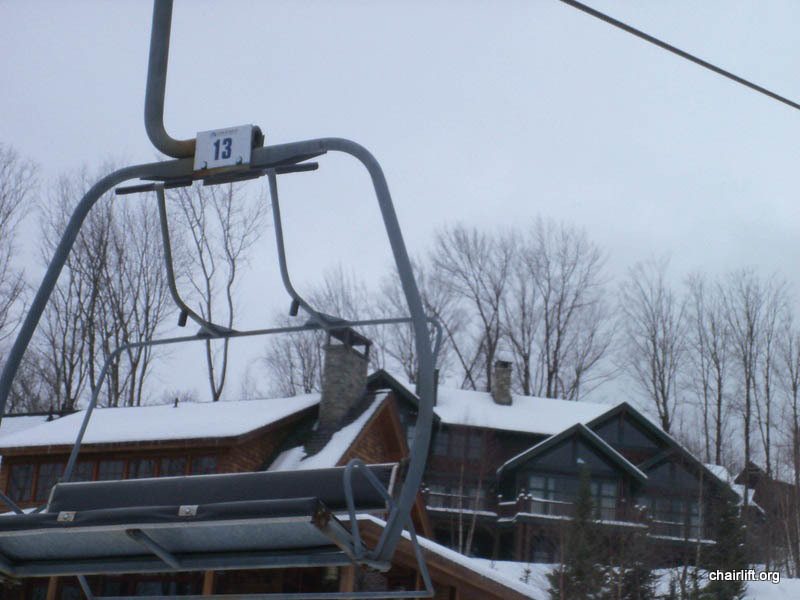 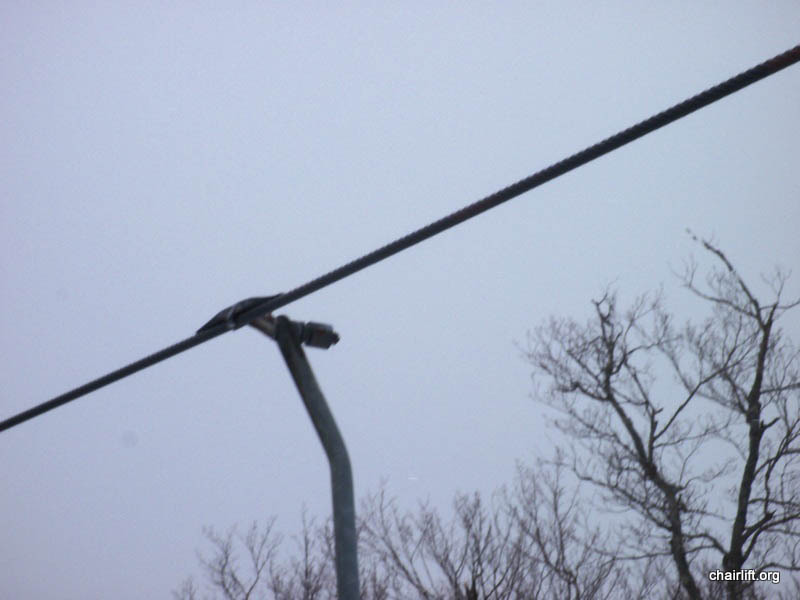 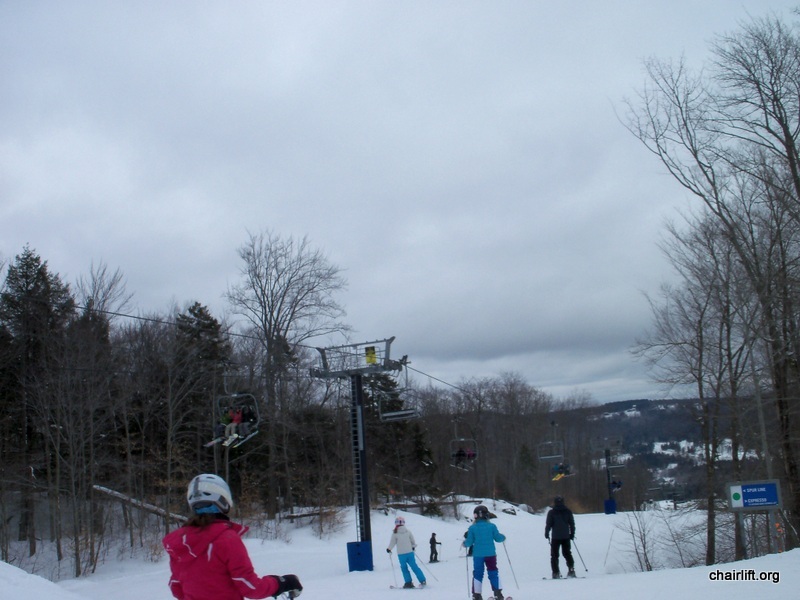 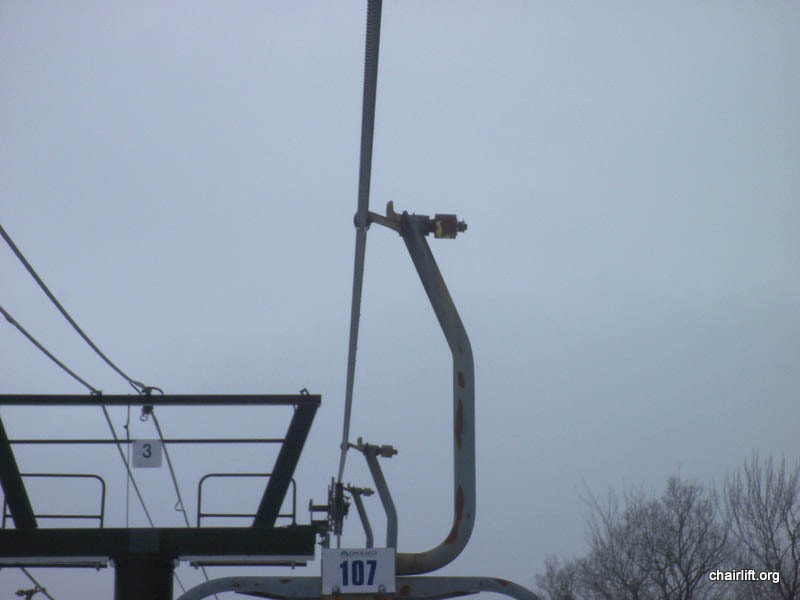 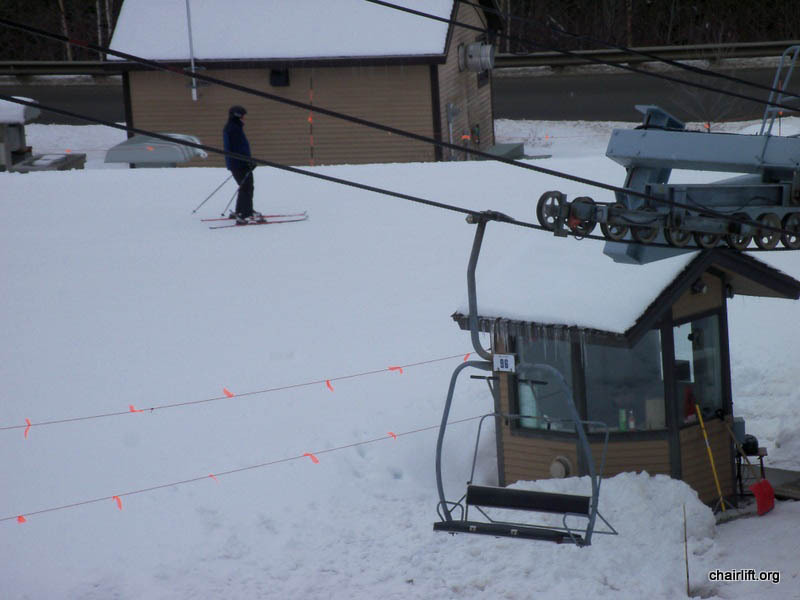 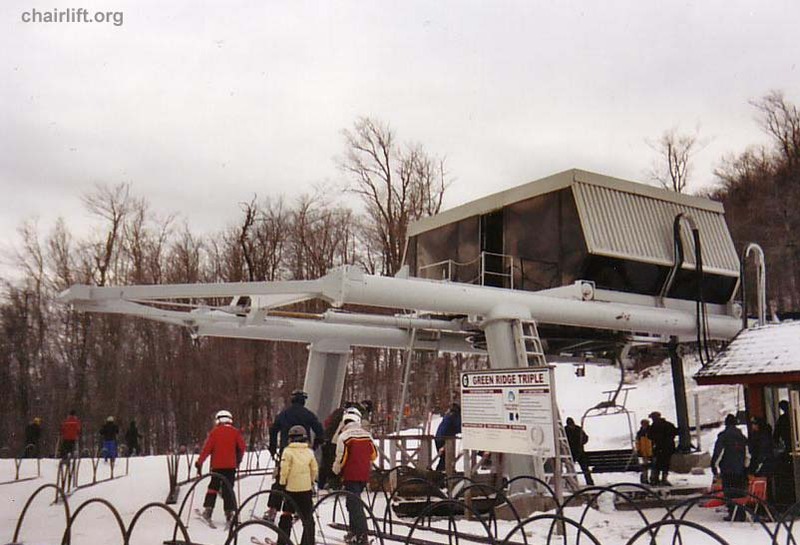 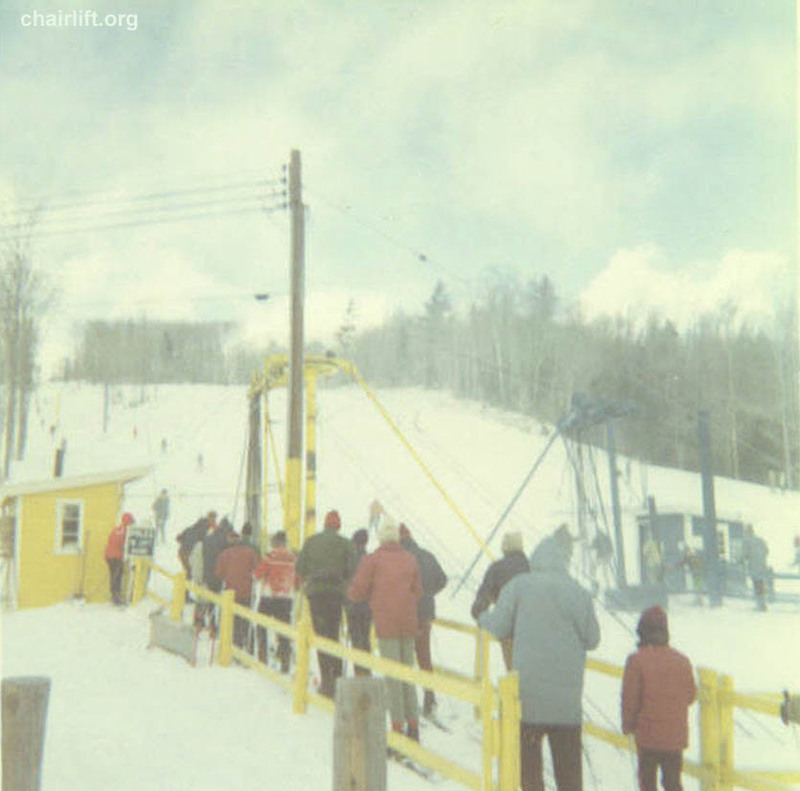 The lift was once called the Mohawk chair. 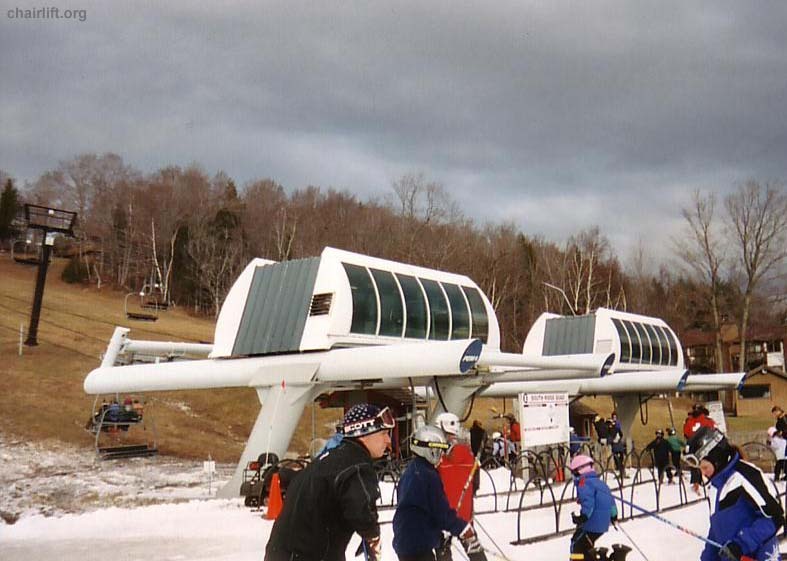 It was replaced by the South Ridge Quad #2 in 1990.
before the lifts were painted colors. 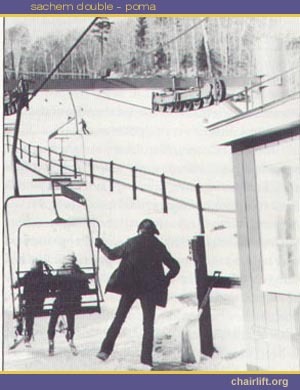 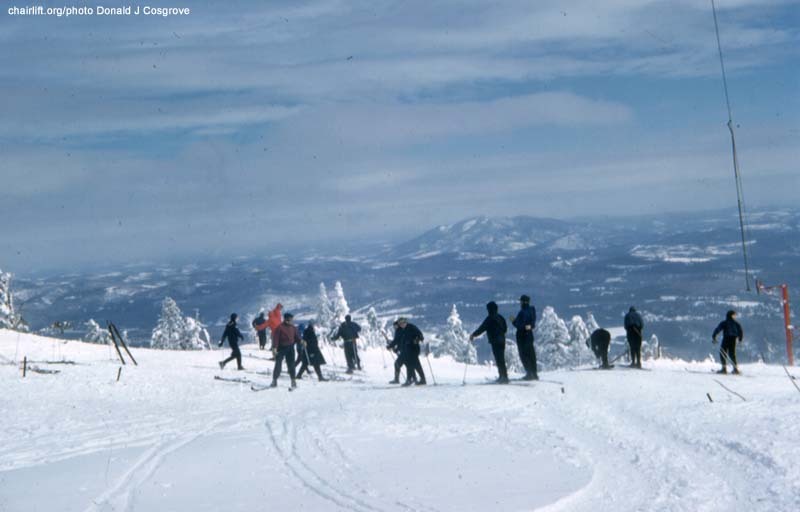 In 1961 it was extended further uphill so that skiers could easily reach the Black Poma. 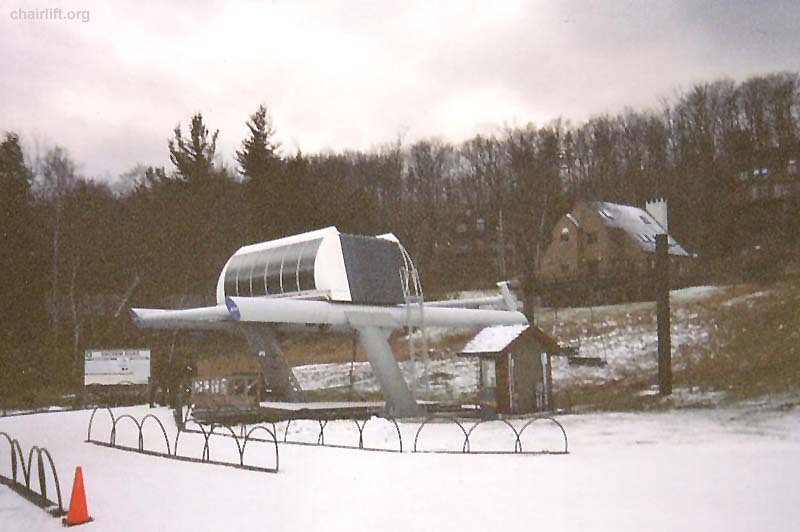 The Yellow poma was removed when the first Southridge quad was installed in 1985.
was removed when the first Southridge quad was installed in 1985. 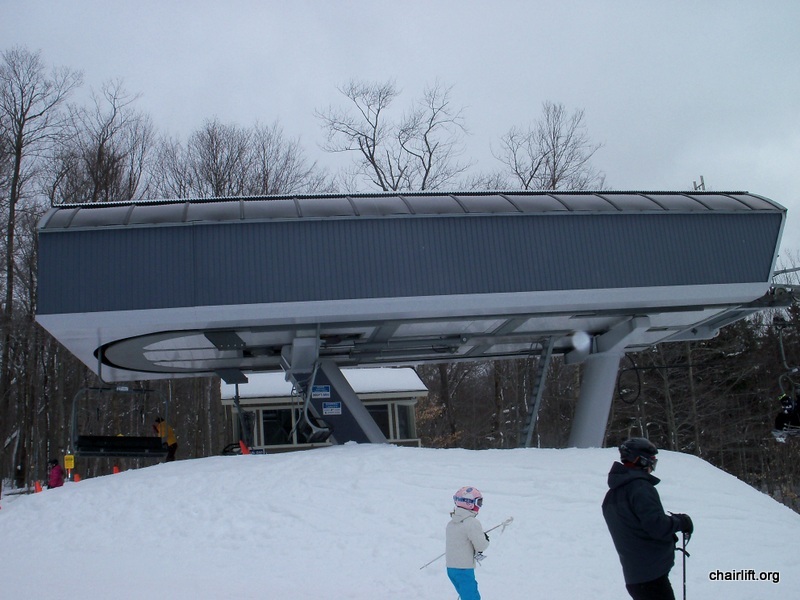 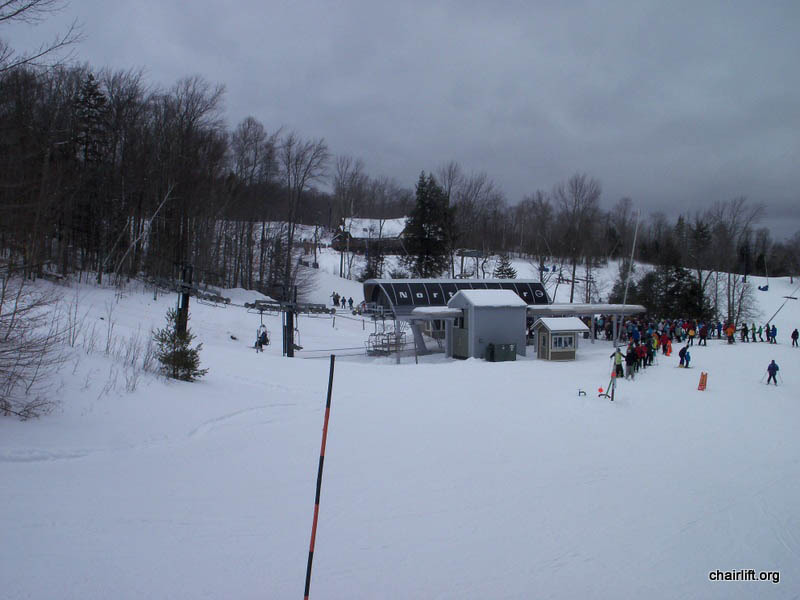 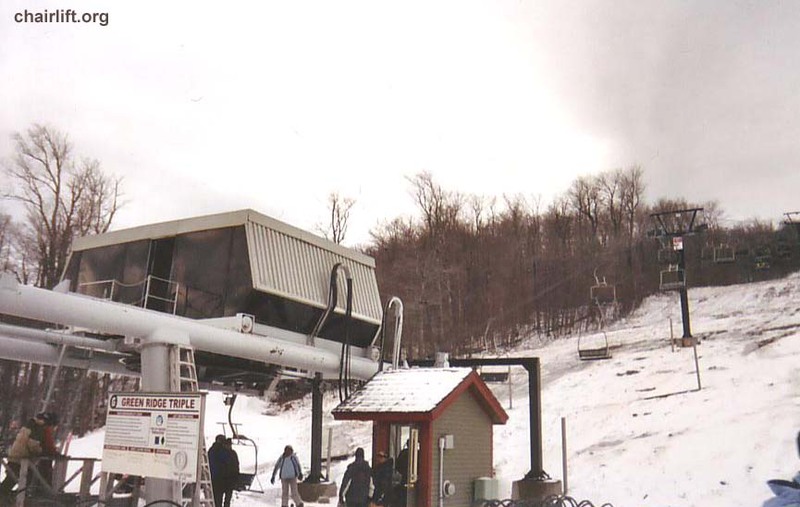 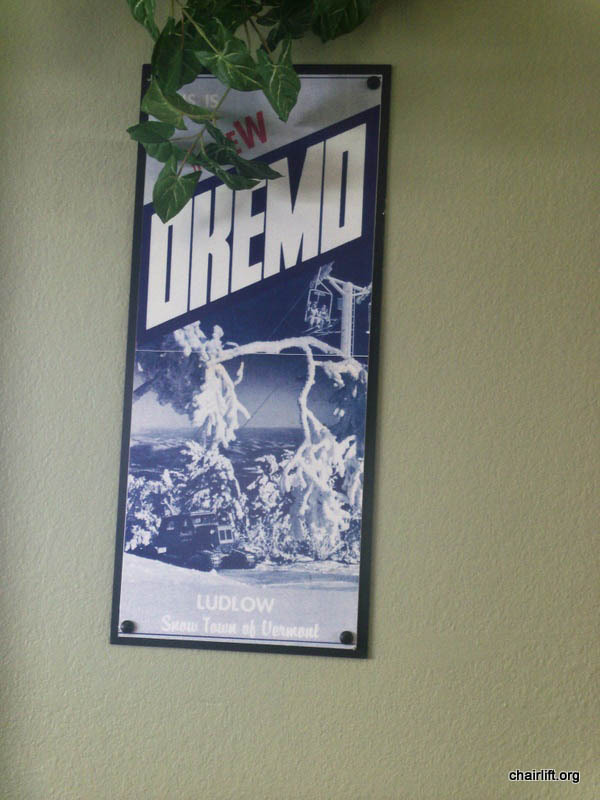 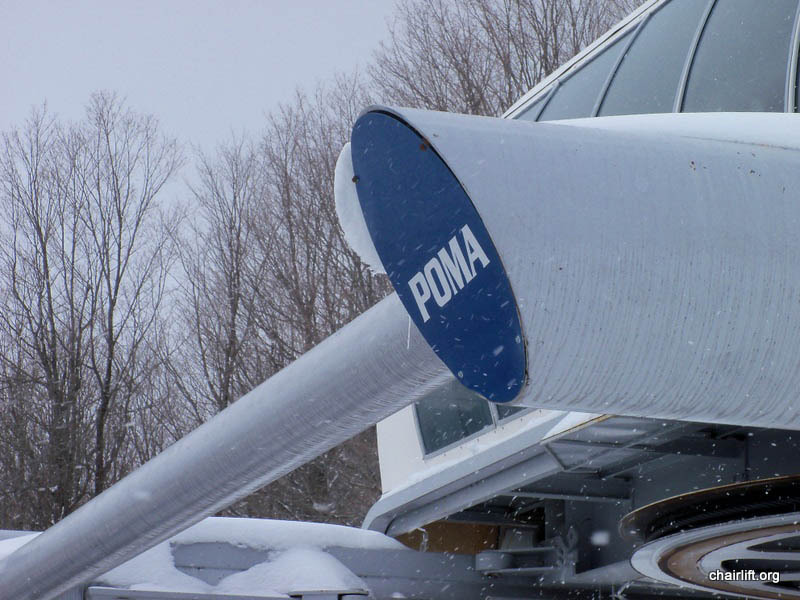 RED POMA (POMA) - Built in 1955 this was Okemo's original summit lift. 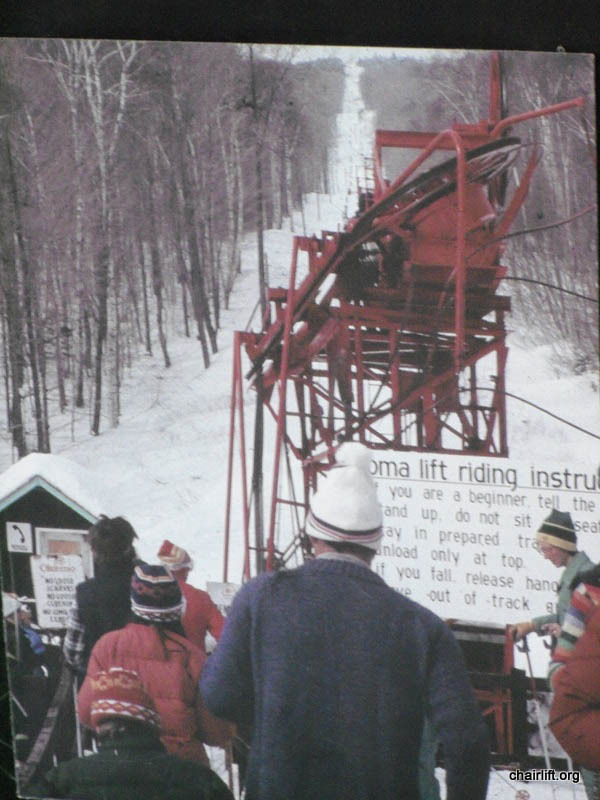 Woody Bousquet for the Blue and Yellow poma picture. 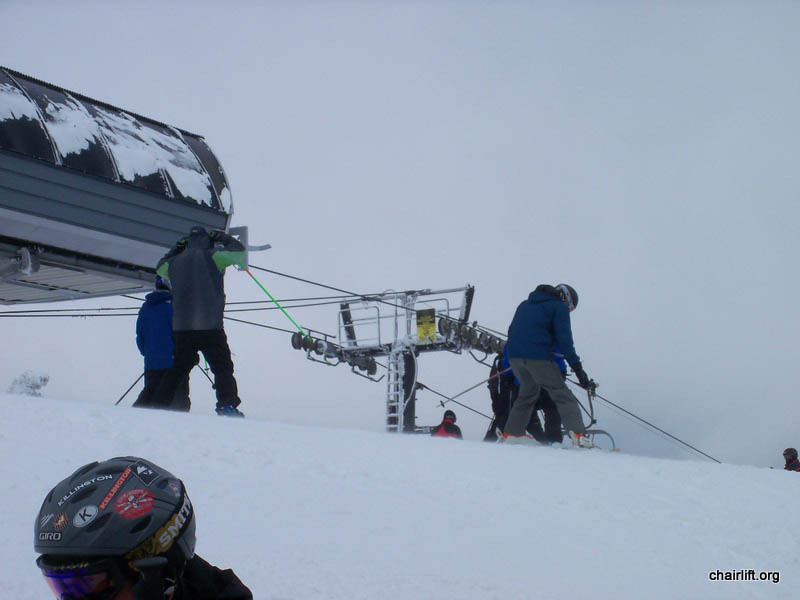 Pic 19, 20 thanks to Don Cosgrove, Pics 21-44 Jason Walega.